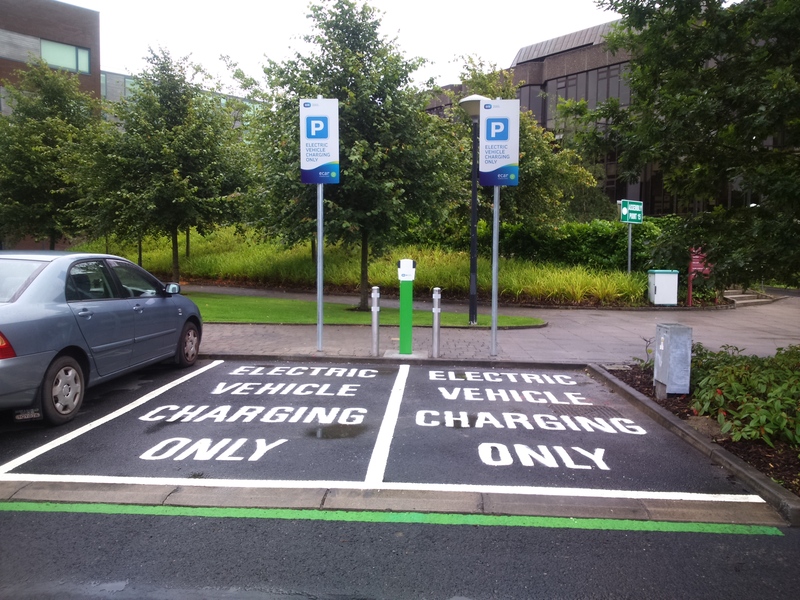 As of 28th August 2015 UL can now boast two electric vehicle charge points. 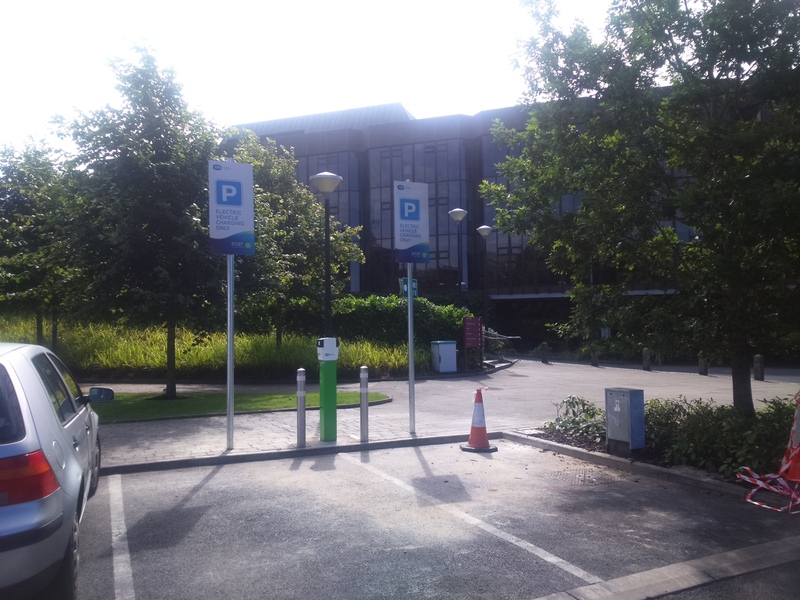 The charge points are located in the Foundation Car Park at the foot of the steps that lead to the Engineering Research Building. 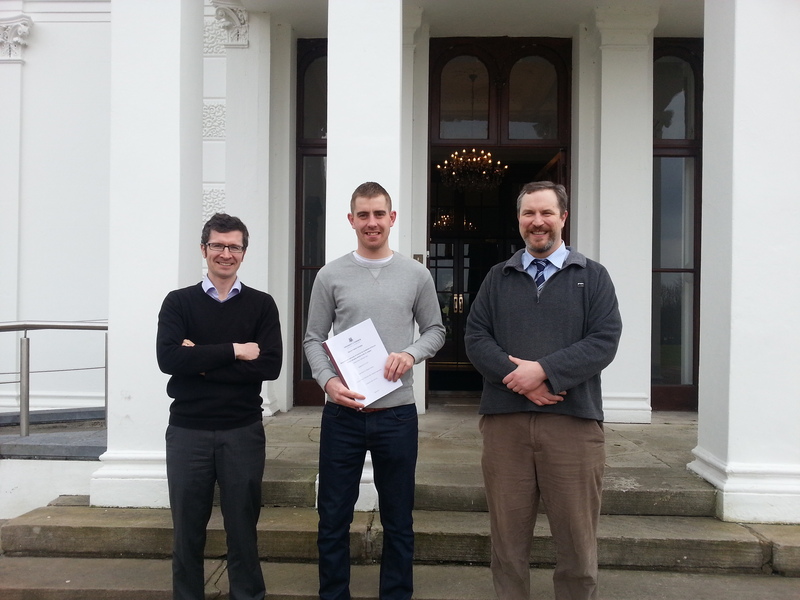 Diarmuid Leahy (centre) a fourth year Electronic and Computer Engineering student supervised by Dr Tom Conway (far right) completes a feasibility study on the possibility of installing an electric vehicle charge point at UL with the cooperation of Dr Chris Fogarty Energy Manager – Buildings and Estates department (far left). Upon completion of the study the Building and Estates Department led the project to install the electric vehicle charge points. 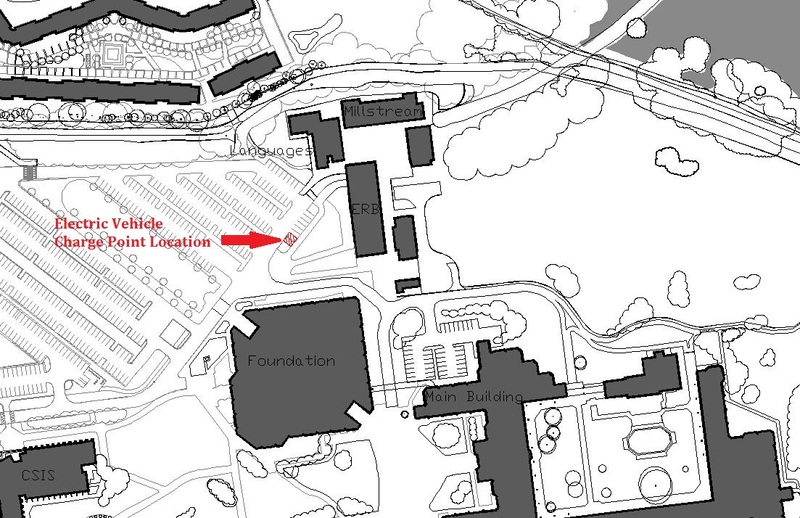 A central location in the Foundation car park emerges as the preferred choice. Once all the paperwork is in order ESB Ecars contractors come on site to complete the installation. A cable route is established and a conduit is installed. Preparation for minipillar and charge points installation. Minipillars and charge points installed. Once the infrastructure is in place the final connections are made. Picture showing the location of the electric vehicle charge points. 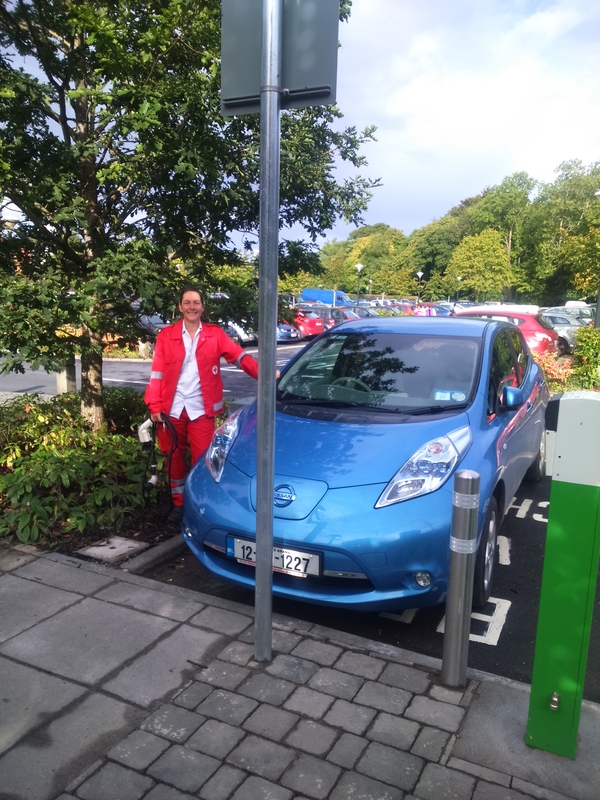 UL already has a customer: Paramedic Susan Speight (on site today for the graduations) poses for a picture with her electric vehicle – a Nissan Leaf. This entry was posted in Uncategorized and tagged Curriculum, Energy. Bookmark the permalink.